Over 40,000 Australians saw Sydney Theatre Company’s The Present in 2015, and we are delighted that many more international audiences will get to see this acclaimed production in 2017. 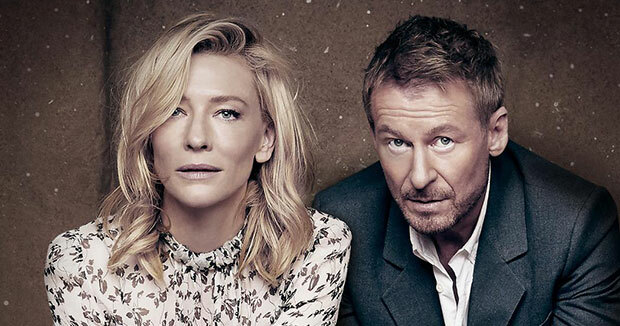 Cate Blanchett and Richard Roxburgh will be joined by the full original cast of The Present when our production of Andrew Upton’s adaptation of Anton Chekhov’s first play opens on Broadway. The full cast was announced overnight in the US. Tickets go on sale soon for the limited season. The Present will commence previews at the Barrymore Theatre on 17 December 2016, open on 8 January and close on 19 March 2017. Ticket release information is detailed at the bottom of this article. Our acclaimed production was directed by John Crowley and had its premiere season at Roslyn Packer Theatre in 2015. The stellar ensemble cast includes Anna Bamford (Maria), Cate Blanchett (Anna), Andrew Buchanan (Osip), David Downer (Yegor), Eamon Farren (Kirill), Martin Jacobs (Alexei), Brandon McClelland (Dimitri), Jacqueline McKenzie (Sophia), Marshall Napier (Ivan), Susan Prior (Sasha), Richard Roxburgh (Platonov), Chris Ryan (Sergei) and Toby Schmitz (Nikolai). Set and costume design is by Alice Babidge, with lighting design by Nick Schlieper. Stefan Gregory is composer and sound designer. Anton Chekhov’s first play was a sprawling epic. The manuscript, missing its title page, was not discovered until 1920, some 16 years after the playwright’s death. Over the years it has inspired various adaptations - Wild Honey, Fatherlessness, The Disinherited – but it is most commonly referred to as Platonov. Andrew Upton’s adaptation is set post-Perestroika in the mid-1990s at an old country house where friends gather to celebrate the birthday of the independent but compromised widow Anna Petrovna. At the centre is the acerbic and witty Platonov with his wife, his former students and friends and their partners. They may appear comfortable, but boiling away inside is a mess of unfinished, unresolved relationships, fuelled by twenty years of denial, regret and thwarted desire. Tickets will go on sale on Saturday 11 June (EDT) through www.Telecharge.com. We’ll keep you up to date with news about The Present via Facebook, Twitter and Instagram @sydneytheatreco #sydneytheatreco. Pictured (left - right): Chris Ryan, Jacqueline McKenzie, Cate Blanchett, Richard Roxburgh, Susan Prior, Anna Bamford and Toby Schmitz.